Welcoming the Reserve Bank of India's (RBI) decision to keep the repo rate unchanged, real estate industry said the move is likely to reinforce confidence in home buyers resulting in improved sales. The apex bank Wednesday maintained a status quo on the repo rate keeping it unchanged at 6.5 per cent. 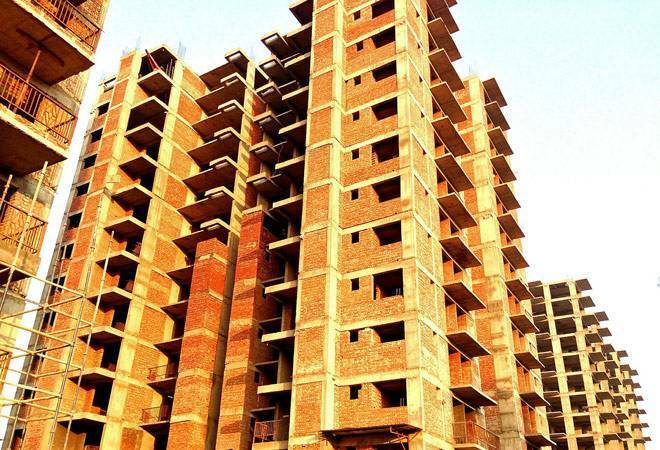 "The decision is on expected lines and will be a relief for the real estate industry that has been worried over a possible rate hike adversely impacting the market," Knight Frank chairman and managing director Shishir Baijal said. Since the last Monetary Policy Committee (MPC) meeting, there has been a big relief with the fall in crude prices and the strengthening of the rupee, which reduced inflationary risk, he said. "With sales and new launches in January-September period on an upward trend, the residential segment is definitely showing strong signs of recovery," JLL India country head Ramesh Nair said. CBRE Chairman, India and South East Asia Anshuman Magazine said the MPC's decision paves the way for RBI to work flexibly, supporting overall economic growth by strengthening bank lending. "We believe that the decision to maintain a stable repo rate will prove beneficial from a consumption and lending perspective, thereby boosting economic growth," he said. Commenting on the move, Anarock Property Consultants chairman Anuj Puri said the politically, an upward revision would not have served the current government well as the 2019 elections are around the corner. "From the economic standpoint, a hike in repo rates would have had a direct impact on home loan rates. High housing loan interest rates are known deterrents to many buyers, especially in the affordable segment where higher interest rates can and do weaken sentiment," he added. PropTiger.com chief investment officer Ankur Dhawan said a hike in rates now would have been detrimental for the industry which is already going through fund constraints due to the liquidity issue in non-bank finance companies. "In fact, industry was hoping if rates could have been reduced in this meeting to revive the industry. No change in repo rate is a slightly negative news for the industry," he argued. "While RBI kept the repo rate unchanged, the market has been hit hard post the increment in stamp duty by one per cent on property to fund transport infrastructure projects in the city. There has been evident liquidity crunch owing to which festive season also did not fare well. The only way for real estate to float and sprint is if the levies like GST go down," he added. Sai Estate Consultant co-founder Amit Wadhwani said residential home inventory being available at a great financial value and RBI maintaining the repo rate will translate into increase in demand and sales. Is RBI 'too hasty' in its downward revision of projected inflation?